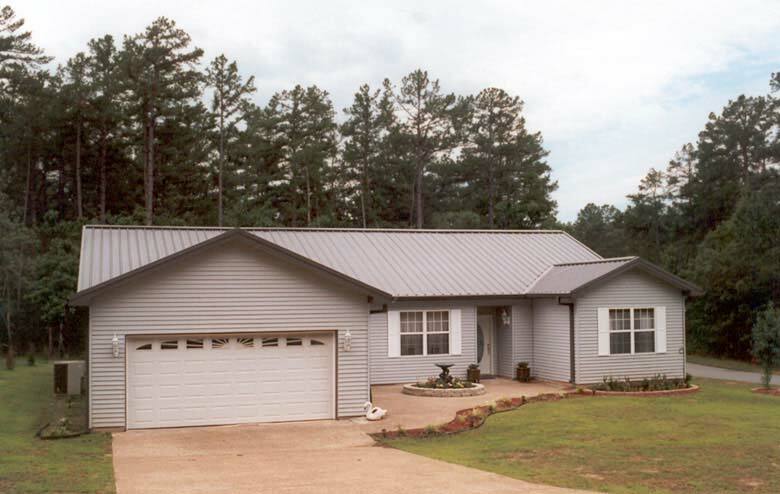 The metal frame house was made possible by Kodiak Homes. This is surprisingly durable thanks to the metal frames that are perfectly installed on all angles of the house. This is one of the simplest yet finest houses that’s peacefully located at the side of a forest. Therefore, the house has a very wide lawn that can serve as a nice hangout spot for the family or during morning coffee moments. The exterior of the house has a metallic quality to it and is covered with white for utmost simplicity. 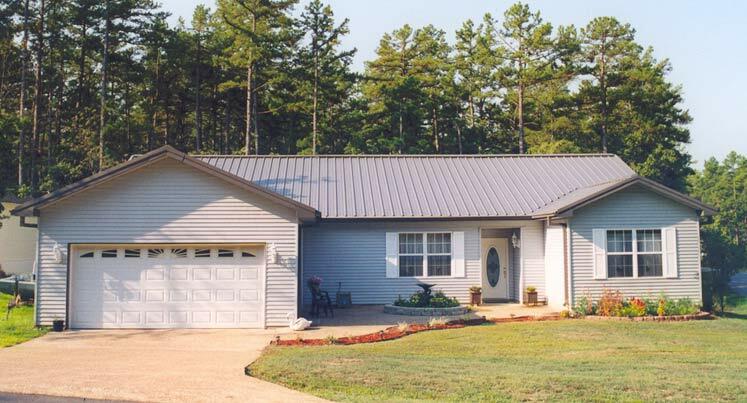 It also has a garage with a wide driveway in front that can serve as another parking lot for guests and residents. The interior of the place was not captured, but you will notice that it has the right design for a remarkable house. The doorway in front leads to the great room where the living room is located at the side. The fireplace on the side of the room is enough to warm up the whole area during breezy, cold nights in the forest-side. On the other side lies three rooms: two bedrooms with a bathroom between the two. The bedroom seems to be complete with a closet. If you go straight, the dining room and doorway to the utility room can be seen. The kitchen is also located at the dining room. On the side of the fireplace lies the master’s bedroom. This area is quite large and has its own bathroom. The bathroom is spacious enough to have a bathtub in it for a more relaxing time to clean yourself. All in all, this house is perfect for something that aims for simplicity, but with durability at its best. It was hit years ago by a Hurricane, and the whole place seems undamaged, and it’s all thanks to the steel frames that made it extra tough! Stats: 2,297 sq. ft., 3 bedrooms, 2 bathrooms, garage. More features in the plans below! The garage also has a wide driveway for guests to park at. 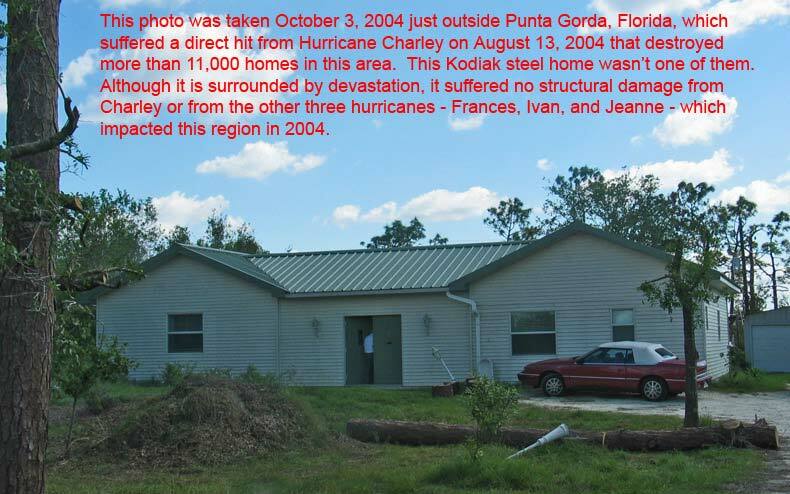 This is what happened to the house after the hurricane. The damage can only be seen on the lawn – not on the house! This is the reason why it’s really durable.